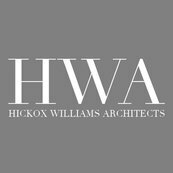 If anyone knows architecture it is Hickox Williams. From the inside out. From the creative and the possible. From your dreams to a dreamy reality. Patrick and Brigid bring expertise to a new level; its beyond learned or studied, it's just part of their very being. They bring technical and beautiful together in one and recreate spaces with a grace and a care the matches the perfection of an art masterpiece or an aria that brings you to tears.